Want to enjoy your free time watching your favorite movies, series or other popular shows? Popcorn Time has made this possible. It is an app made by many developers by putting together a bunch of APIs. So you can now enjoy your favorite movies right at your fingerprints. All you need is your smartphone be it Android or iOS and a stable internet connection. The good thing about it is that you don’t have to download any show. You are allowed to play TV shows and movies online and for free. No restrictions on any movie. HD movies and subtitles included. Enormous catalog to choose from. Keeps videos downloaded if stopped. Easily loads an external torrent. Supports multiple languages e.g. English, French. Handy eye icon lets you see which movies you’ve watched. It is hard to find this app on any other official App store. Emus4u ( About ) is a third party app installer that saves you tons of hassle of finding such an app like Popcorn Time. Download Emus4u ( Guide ) in your iOS using your Safari browser. Make sure you have installed it and then open from your home screen. 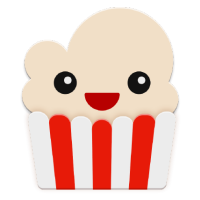 Head over to the search box and type Popcorn Time and then hit search. Select the app and then you’ll see a popup asking to download for iOS or Android. Select for iOS and wait for a few seconds for the download to be complete. Tap Install > Install > Type Device Passcode > Done. Once through, you’ll see the app icon on your home screen. But wait, you are not yet done. You have to verify this app in order to access it. But it is simple. Head over to your Settings app. Click on Profiles and then select Popcorn Time app. Tap on Trust and turn it on to verify. This will save you from any unnecessary errors and from not accessing the app. After that, head to the app, open it and enjoy. So, what is left is to stream your favorite TV shows, series, movies and more. You can find them on the search button even international shows with their own subtitles. So, how about grabbing some popcorn and enjoy Popcorn Time at your own comfort? Comments to let us know if the above direct download link is not working.